Welcome to our website. 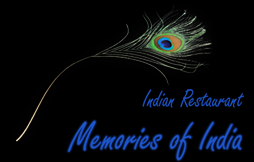 We tried very hard to give you all the information about our friendly and attentive Indian restaurant. You’ll find here the complete menu’s, how to contact us and where our restaurant is located. We are always ready to answer any questions you have. We hope to welcome you soon and we promise you that you won’t be disappointed. Indian cuisine is as wonderfully varied as the country and its people. From the hearty dishes of the far north to the rich Moghlai cuisine of central India and the spicy fare of the deep south our menu brings together some of the finest examples of great Indian cooking. Nowhere was an appreciation of the art better understood and encouraged than by ancient Indian royalty. Indeed today’s cuisine owes a debt beyond price to keen royal patronage over centuries of inspired evolution. Welcome to our website. We tried very hard to give you all the information about our friendly and attentive Indian restaurant. You'll find here the complete menu's, how to contact us and where our restaurant is located. We are always ready to answer any questions you have. Copyright © 2014 Memories of India. All rights reserved.